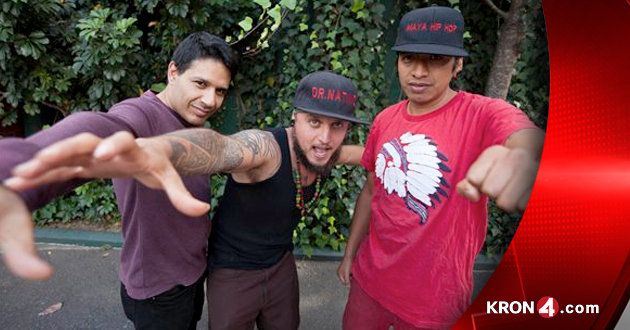 GUATEMALA CITY (AP) — A group of Guatemalan musicians is on a mission to breathe life into a pre-Columbian language and heritage through a thoroughly modern genre: hip-hop. Calling themselves Balam Ajpu, which means Jaguar Warrior or Warrior of Light, they rap in the ancient Mayan Tz’utujil language with the goal of making it cool for kids and teaching them their ancestors’ stories and ways. Their debut album, “Tribute to the 20 Nawuales,” or spirits, is set to be released to coincide with the March 20 spring equinox. The musicians rap in both Tz’utujil and Spanish, blending a hip-hop beat with marimba and natural sounds like bird songs and running water. 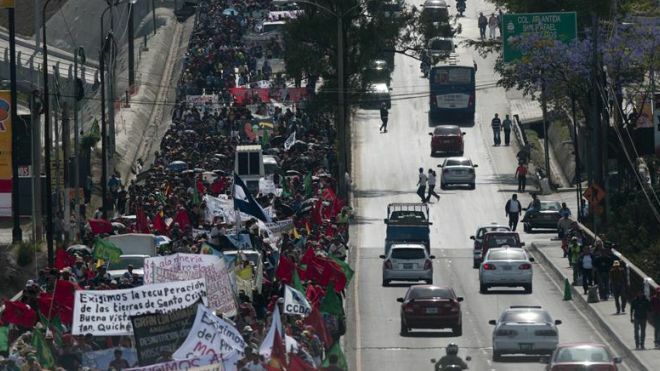 An estimated 10,000 Indigenous people marched to Guatemala City demanding land reform, March 2012. 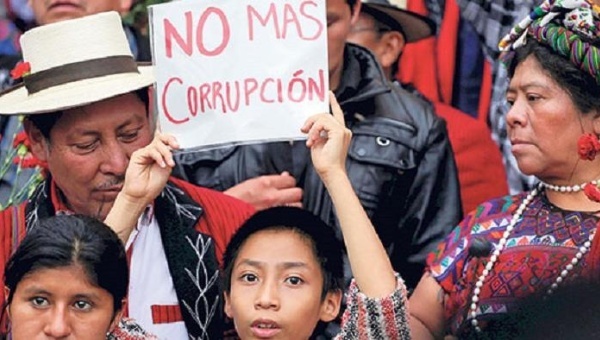 Guatemala City – An estimated 10,000 indigenous people marched on Monday in the Guatemalan capital after they walked more than 200 kilometers (120 miles) to demand a government settlement of a conflict over land.